Emotional connections are the key to brand loyalty and sales. How do we make this emotional connection? Through branding and being empathetic to client and staff needs and wants, likes and dislikes. Brand is the emotional connection you establish with your clients, staff and audiences, and of course, with those whom you are targeting as your future clients and employees. Seeking an emotional connection with clients and staff cultivates a more trusted and deeper relationship, and one that is most likely to become long-term. Your brand is how people feel about your services or products and experiences with staff, or through your blog posts, social media activity, articles and other resources. Everyone and everything contributes to your brand and your brand reputation. These brand encounters can be personal, professional, past experiences, blog posts, brand stories, ads or your website, and will be factors in prospective clients choosing between your law firm and your competitors. Coke, Snickers, Anheuser-Busch, Nike, Apple and Microsoft are the top emotion- and empathy-driven brands. They are fully committed to the idea that an emotional connection to their brand will foster brand loyalty and establish lasting relationships with customers. While we can’t control feelings, we can control how we create that emotional connection. We can manage what we stand for — what we promise in our solutions and products and relationships — by living our values and, of course, the way we treat people. Think about how you present your brand and how it is viewed in the marketplace, the stories it tells and the promises it makes. Now, ask yourself whether the brand information you present instills a meaningful connection with your audiences. If your law firm has not yet established or identified its brand, I highly recommend that you embark on a brand discovery exercise. This will allow you to determine your law firm’s culture, core values, personality and differentiators, and the brand attributes that clients have already gravitated to and come to expect. It is not enough to take that step, though. It is also essential that you recognize, promote and manage your brand attributes. If you don’t, your clients and others will. Referring back to the 800-pound, emotionally driven brand gorillas mentioned earlier, they have tapped into empathy and humanity, and perfected the art of brand alignment and loyalty. You can’t just be the best or the cheapest or the fastest; what you stand for now matters more than ever. Humanity isn’t a trend. In fact, these brands have built their empires around emotion because they are fully aware of its social impact. What does your law firm stand for? What is its mission and purpose? These values guide organizations — from the way they hire to how they manage their business. It’s these values that also differentiate firms. Others can replicate the same marketing language, positioning, even colors and images, but in most cases, it’s your values, your goals and your culture that remain unique to your organization, as long as they are authentic. Brand is the emotional connection, while values and culture are the human and emotion-based business attributes. Your brand voice and messaging are directly linked to your values and your culture. It is important that you determine the type of voice you want to project and apply it to all resources and content you produce. If your firm culture is friendly and empathetic, then your tone and voice should be warm and caring. It could be educational yet simplistic — even authoritative and honest. Consider preparing a list of brand attributes and qualifying them by indicating with descriptors like confident/not arrogant, or educational/not preachy. When it comes to establishing a voice and tone for your law firm, you’ll need to know when it’s appropriate to alter your messaging based on context, audience and subject matter. You’ll also need to know where and how you can mix it up while staying consistent, since you don’t want to sound robotic or lacking authenticity. Like the verbal brand, the visual brand builds on core values and culture, and reinforces the corporate story when speaking to audiences about your law firm’s services or products. The visual brand incorporates color, logo, graphics, images and fonts. Just as voice conveys brand attributes, such as innovative or collaborative, once a visual direction is determined, it has to be applied consistently. Creativity matters here, and is how clients and audiences will relate to you over your competitors. These branding best practices are probably not a new concept for you, but I am sensing a change in the way law firms have begun to present themselves, finding a need to get more personal and lead from the heart. There is a change in the way people and businesses are aligned, and it is based on humanity, empathy and trust. For now, I suggest that when it comes to law firm branding, the key is to get to the heart of it. 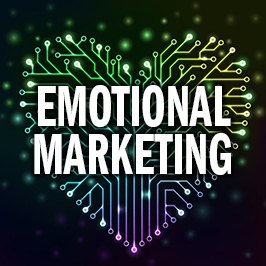 Interested in learning more about emotional marketing? Contact me, Terry M. Isner, at tisner@jaffepr.com.